UNAA Elections OPED — Mr. Monday Atigo was re-elected on Sunday September 3rd 2017 to the UNAA presidency after a hotly contested UNAA race that helped exposed further the ills and issues UNAA still faces today. 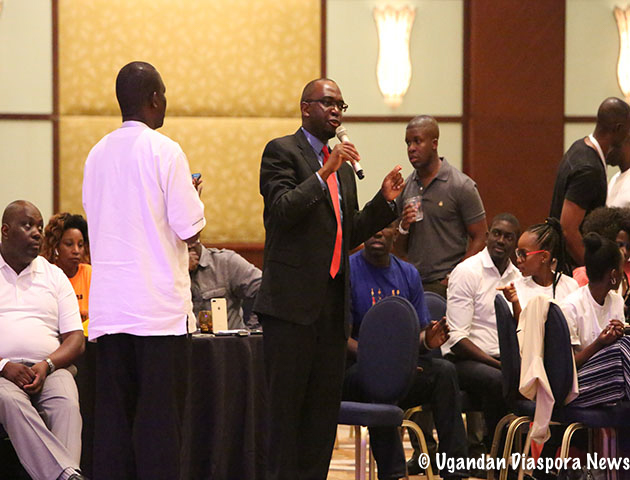 Earlier on Saturday during the poorly attended Annual General Meeting – AGM attempts had been made to have an issue based debate among the two candidates but this was thwarted as quorum and time did not favor the process due to a boat cruise planned later than evening. Atigo won by 189 votes about 30 votes more than Dr Daniel Kawuma who came in second. 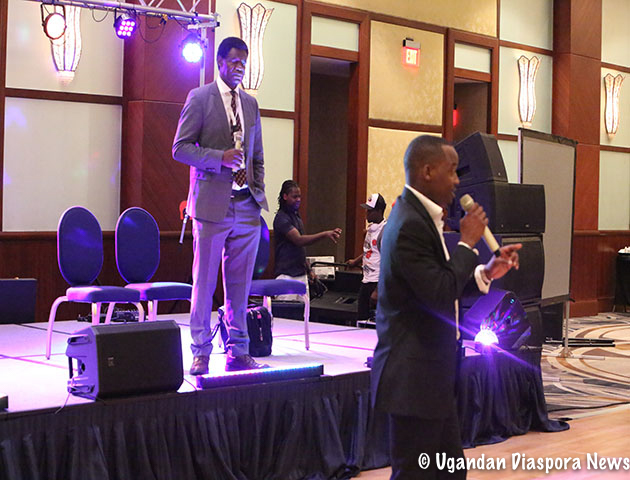 The online voting had produced about 9 online votes in favor of Atigo and 180 onsite votes, while Kawuma got 49 online, and 117 onsite. However following the vote Mr. Kawuma has since petitioned the electoral commission sighting irregularities in the process particularly the validity of the voter register used by the electoral commission in the 2017 UNAA elections. 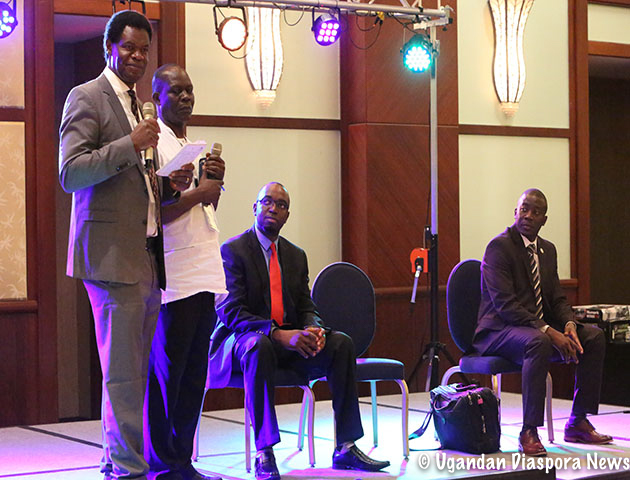 Overall I applaud both candidates for the civility exhibited in Miami but more especially Mr. Kawuma for attempting to participate an exercise that saw a section of the UNAA membership walk away after what some described as a flawed process. 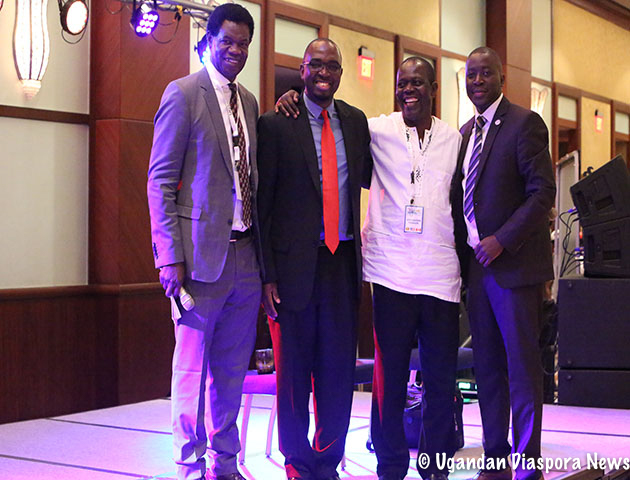 However the low voter turnout should be a point for both the UNAA Board of trustees and the UNAA Council to revisit and debate since the organization boasts of more than 1000 active members many of who no longer attend conventions. 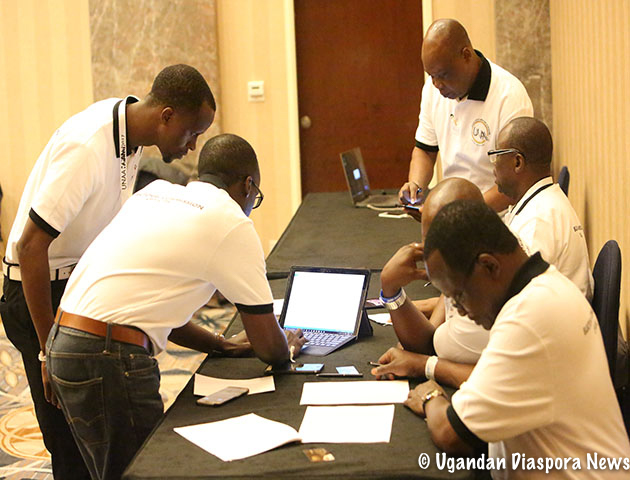 The selection process of the host – convention cities in an election year will also need to be revisited now that the last 3 UNAA elections have been held in Dallas, New Orleans and Miami, cities that have been in close proximity to the home base of the two previous UNAA Presidents. In the past convention hosting was a process that saw at-least 2 bids tabled and presented at the final dinner but this time word had it that going into Miami the convention hotel and host city of Seattle were already pre-determined another reason why some have lost faith in the process! The volunteers that constituted the UNAA EC led by Mr. Franco Wantsala deserve some recognition for putting in the time to ensure the continuity of UNAA. Overall it was great to see those members that had left UNAA return in attempt to participate in what was once a vibrant UNAA election process – Mr. Kawuma should be commended for energizing the base to return into the UNAA fold even though some hecklers him to go back to UNAA Causes – a sign that there is still a section of UNAA members that refuse to accept the circumstances and politics that led up to the UNAA split. Lets hope that as Mr. Atigo embarks on a new term he will govern with integrity and embraces both his critics and supporters in an effort to preserve UNAA’s identity. He will also need to institute a forensic audit of UNAA FINANCIALS to help end the speculations and concerns raised by both his opponent and the UNAA treasurer during the campaigns. Further more we need the BOT to be more vigilant in its oversight role to prevent future abuse of UNAA Funds something that has bedeviled this 501c institution contrary to the US LAWS that make it a felony to misappropriate or abuse association funds. The UNAA Development fund disbursement and the beneficiary communities should also be publicized to avoid any potential conflict of interest. To the UNAA fraternity that genuinely put in time to ensure UNAA’s CONTINUITY we celebrate you but lets also revisit the issues raised by all the candidates as a way to make UNAA great again! 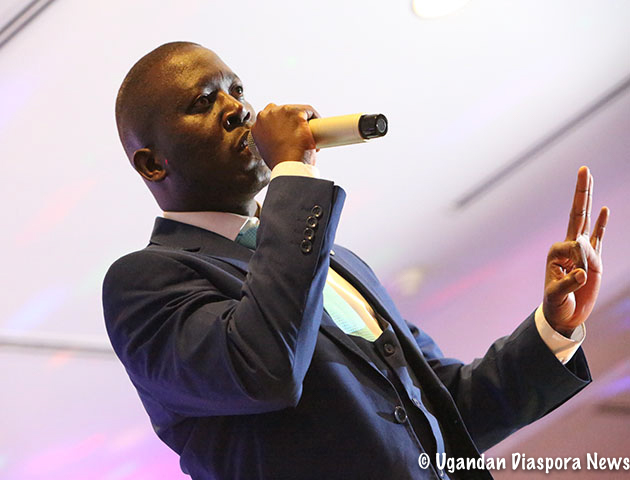 Below is the copy of the election petition Ugandan Diaspora News received from Mr. Daniel Kawuma as presented to the UNAA – EC challenging the validity of the results declared last Sunday. Re: Petition to Challenge the Validity of the Voter Register used by the Electoral Commission in the 2017 UNAA elections. The UNAA Executive Secretary Mr. Peter Mukunya initially forwarded a voter list of 800 people to the UNAA Electoral Commission. After an audit conducted by the UNAA treasurer Mr. Arthur Nantamu, the list was reduced to 424 registered voters who had supporting proof of membership payment. The UNAA E.C reviewed that list (424 voters) and after eliminating duplicates finalized it to 398 registered voters who had proof of membership payment. Following this discrepancy, an investigation was conducted and the UNAA Director of finance (and candidate for Treasurer) was asked to resign by the Board of trustees after confirming that he fraudulently added 300 people (from Dallas, California and Seattle) to the voter register who had not paid their membership. 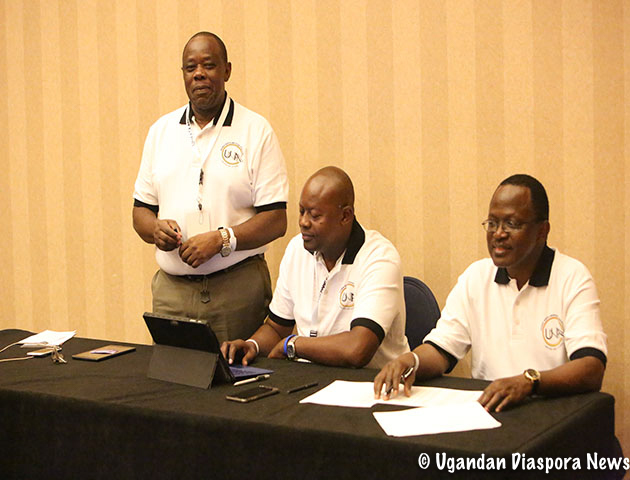 During the Annual General meeting the Chairman of the UNAA Board of Trustees Dr. Buwembo stated that there were 410 registered voters while he was determining quorum for the meeting. According to election observers and a member of the Electoral Commision, people who were not on the voter register were allowed to vote if they presented a payment receipt (which can be manually generated from quickbooks without making an actual payment) and their names were written down on a piece of paper. Voters from Dallas and California ran out of ballot papers which had been printed based on numbers of the verifiable voter list presented to the Electoral Commision by the UNAA Treasurer. Additional Ballots were printed during the course of voting to accommodate voters from Dallas and California. The list of all 594 members that were registered to vote per announcement of election results by the Chairman. The list of the 358 members who voted and their proof of supporting membership payments. The list of 424 registered voters that were presented to the UNAA. E.C by the treasurer that had verifiable proof of payments. An explanation of who authorized voters to be added to the list that was presented to the UNAA E.C by the treasurer. Who made the determination that they were members in good standing and what support of membership payment was used. A list of all the members that were added to the voter register by Director of finance who was asked to resign after he was found guilty of adding members without proof of payment. The election should be fully audited and a detailed explanation provided regarding the voter lists of 800 members, 398 members and 594 members. The UNAA E.C should provide an explanation how they were able to add voters to the register that had not been verified by the UNAA treasurer. The UNAA. E.C should provide an explanation why extra ballots had to be printed during the course of the election. If there people who voted without verifiable proof of membership payment, the number of those voters should be made available. I will take the necessary steps once this information is provided. In order for us to move forward as an organization, it’s critical that all these questions are thoroughly answered and we get to the bottom of what happened in this election. Kawuma need to sit down or else go back to the trouble causes where he belongs.He planted observers inside the polling station clad in their Tshirts en he’s now complaining??…. he will one day accept defeat cos as of now he has nothing to do.